Arm tattoos are perhaps the most common types of tattoos found anywhere in the world. In both Eastern and Western cultures from all over Eurasia to Native Americans, the arm has been the most widely used canvas for tattoos. 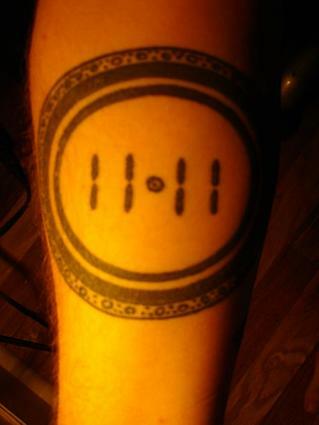 Some people find that a great way to display what they believe or enjoy is best done through forearm or wrist tattoos. 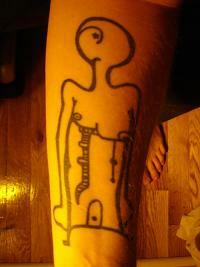 Many people will use these spots for display of spiritual or religious tattoos. Many wrist tattoos have a religious or spiritual tone or may be the names of deceased relatives, family members or fallen gang members. Generally, Americana art goes on the upper arm or forearm, and these tend to be larger pieces but not necessarily sleeves. Americana pieces that are common to the arms are nautical star tattoos, family crest tattoos and swallows or other birds in the style of the Sailor Jerry era during and following World War II. Other very popular deltoid (upper arm) tattoos are family crest tattoos and name tattoos as well as US Navy, Army, Airforce and other military tattoos. Some men choose to place pin-up girl tattoos here as well. Japanese and Chinese tattoos and sleeves became extremely popular in the mid 1990s, especially in the music and neo-greaser subcultures. The original Japanese arm tattoo sleeve and body tattoos were an innovation of the Yakuza, also known as the Japanese mafia. The full body suit is inked into the skin of Yakuza members over the course of several years as they "earn their stripes". The tattoos within this subculture are a sign of loyalty and commitment to the organization, as well as rank. When considering where and how big you would like your arm piece to be, think ahead and do some research. Does your current employer have a policy against visible tattoos and/or could the upward movement into another position be stymied by a visible tattoo? Wrist and forearm tattoos are much more painful than upper arm tattoos, so be willing to face a more painful procedure if these are what you want. Consider color: Is black and white more your style, or is a full color tattoo what you are looking for? Certain designs and images look better in one or the other. What is your skin tone? If you are black or Hispanic, consider using darker inks; this may seem to not make much sense, but you must consider that the ink does not lay on the top layer of skin but rather penetrates to the lower layers. For this reason, lighter inks have a very difficult time showing through. If you have extremely light skin, you have the advantage of using any color scheme you choose. Even white ink looks great against pale skin. However, certain precautions should be made like avoiding dark outlines and certain parts of the body such as feet and other slow to heal areas. What Is the Symbol or Image for Your Arm Tattoo? Remember, the arm is one of the most conspicuous body locations where a tattoo can be placed. That being the case, you will want to choose something that classically defines you and what you want others to see about you upon meeting you for the first time. As with any other tattoo, an arm tattoo should not be a symbol of a passing fancy in your life; make it meaningful so that years from now the tattoo will still hold meaning for you. Whether it is a reminder of a lost loved one or a symbol that reminds you of a milestone in your life, your ink defines who you are.